This entry was posted on Sunday, October 20th, 2013 at 8:00 am	and tagged with Catalan, global languages, learning Spanish, linguistic imperialism, Spanish and posted in Uncategorized. You can follow any responses to this entry through the RSS 2.0 feed. Good Sunday morning, Scott. I believe there’s nothing wrong with ‘our’ language if it’s synonymous with ‘our culture’ or ‘our heritage’. But I can understand that one may become slightly wary when ‘our language’ collocates with ‘spread’ or ‘other territories’. English came to me quite peacefully at the time when I had no idea of its ‘imperial burden’. Now I simply appreciate the vast knowledge and the new perspectives it offers. I hope you can appreciate Spanish for the same reasons. There IS a lot wrong about ‘our language’, Hana, especially when that means a language considers itself superior to other languages to the extent that those other languages are banned from the school system and all public official life. I was born in a Catalan-speaking part of Spain and not only was I deprived of my right to schooling in my parents’ mother tongue, but under Franco’s ’50s Spain, forced by the politico-linguistic circumstances, my parents’ generation was the first one who decided, ‘for pragmatic reasons’ (nobody wants to diminish their kids’ chances of social progress) to start addressing their children in the imposed language: Spanish; ‘our language’. That can’t have felt too nice. I totally understand your point, Amadeu. However, at some point of the development of my native language, for example, Czech people were proud to say ‘our’ language because they suddenly won the freedom to use it officially. And that’s what I meant by my remark. Hi Hana, Amadeu … thanks for your comments. I guess my problem with ‘our language’ is the built-in assumption that a language and a community (or a nation, or even a race) are co-extensive, that is to say, that they map on to one another precisely, such that whoever is a member of that community speaks that language (and only that language) and that no one else does. While this may have been true once, in a less fluid world (although I doubt it), it’s not the case any more, where multilingualism is the norm, where languages overflow political and national boundaries, where languages mix and merge, and where some languages (including Spanish) are used as lingua francas. When scholars or journalists talk about Spanish as being ‘our language’ who do they really mean by ‘us’? If they mean ‘anyone who speaks Spanish’ then the possessive is fairly meaningless. If they mean ‘only those whose mother tongue is Spanish’ then they exclude many speakers who may be regular and fluent users of the language, which seems unnecessarily divisive. Does that make sense? Isn’t it amazing that such a ‘small’, functional word, normally carrying little lexical meaning, means so much in this particular context? Language is a powerful tool and it should be used carefully. Nevertheless, the words we choose only reflect the state of our mind. And as the discussion above shows, we all perceive the connotations of a word differently, based on our background knowledge and experience. This may sometimes hinder communication and/or provoke conflicts. I think that the so-called concept of ‘our’ language/culture/heritage is not only exclusively-related to the wide-spread English or Spanish laguages. As an Arab, I heard such phrases within ‘our’ regional territories as often as you hear them in yours. Personally, I fail to get the point of ‘ownership’ of whatever language. Is it ownership of a language or the fear of losing its power in one way or another? Thanks for the comment, Gihan. Yes, I agree that the notion of ‘owning’ a language does have implications of wanting to control it, and, as Henry Widdowson pointed out some time ago, the notion of ‘properness’ in talking about languages (proper English, proper Spanish etc) is very much bound up in the notion of ‘property’. Totally relate to you Scott, I live in a country where 2 languages are spoken, but I gambled early on that one would be become more dominant. So I plunged into Romanian, ignoring Russian which was the language of the former occupier.I’ve basically been proven right, but for me it was a matter of politics too. Politically I think you are WRONG to chose Spanish and you show some disrespect to your Catalan cousins, you don’t live in Spain, you live in an occupied area.!!! Lastly I remember you tried to learn Maori, who are the real inhabitants of New Zealand, even though you were part of the English occupiers. Thanks, Philip. Clearly, deliberate language choices have political and ethical dimensions, even if motivated by pragmatic considerations. On the whole, though, I don’t get the sense that I am offending my ‘Catalan cousins’ when I speak Spanish although, I agree, I would earn the respect of many, were I to speak Catalan fluently. As for Maori, unlike Catalan, it is not widely used as a means of communication, even in New Zealand, so my learning it was motivated more by cultural factors and, yes, perhaps by some residual colonial guilt. I moved to Lleida six years ago, and chose to learn Spanish for more or less the same reasons that you outlined above – that generally it would give me more options should I decide to move on at any point. As it turns out, I have never moved on. I have no shortage of practice opportunities, but my friends are all used to speaking with me in Spanish, and it seems to be incredibly difficult to change the vernacular language in a relationship. Another factor I face is that when I am in a shop, or similar context, I have the opportunity of communicating in competent Spanish (which everyone would understand) or making a ‘fool’ of myself in broken Catalan. My Spanish moved quickly partly because of the need to survive, but this is something lacking for me with Catalan. Que tinguis un bon diumenge! Yes. Changing the language of a relationship is very rare. My wife and I speak Welsh, although we are both English. We happened to meet at a social event being held in Welsh. Thanks, Matt: I can certainly relate to your ‘language biography’. The fact that most Catalans can slip in and out of Spanish with enviable ease has meant that it has become the lingua franca of my (non-English-speaking) social circle, and is likely to remain so. Why not think that by “our” language, they refer to their mother tongue, taking pride in it, without implying any superiority whatsoever? Am I too naive to think in this way? … doesn’t exactly sound to me like pure, innocuous love of your own mother tongue! You’re not too naive – That’s the feeling. Thanks, Isabel. I take your point, but I’m not sure why we should ‘feel pride’ in our mother tongue, especially since we had no choice over it. I feel more proud of ‘my Spanish’ than ‘our English’, for example, since I had to struggle to learn the former but was born speaking the latter. (Well, almost!) By the same token, I’m not ‘proud’ of English just because a few writers (such as Shakespeare or Dickens) have used it to good effect. It doesn’t make it any better a language, or, even if it does, it’s none of my doing! In my opinion, language (along with other aspects of culture and heritage) should not be used to control, isolate or discriminate against anyone. It was wrong when Franco used Spanish as a political tool, just as it is wrong today to use Catalán in a similar way. Yes, but there’s no other way. I mean, do you think Franco would bother learning other language? What would have been easier, he learn the language or other people do it? Franco was gallego. Anyone know if he spoke gallego? Mind you, his father was a freemason and look what Franco thought about those! More directly on topic: it’s very hard to provide the speakers of a minority language (like the 20% of the Welsh population who speak Welsh) with the rights they ought to be able to expect, without the speakers of the majority language howling that they are being oppressed. The current president of Spain, Mariano Rajoy, is also Gallego and reportedly only speaks Spanish (He was conspicuously the only member of Madrid’s delegation not to speak in English in the recent failed bid to hold the Olympic Games). While few would accuse him of being as bad as Franco, his government doesn’t exactly celebrate linguistic diversity in Spain. To my mind, the Spanish government’s policies towards the Catalan language and culture have almost certainly swollen the ranks of the Catalan indepentistas. Good morning, Scott. If you want to read Machado de Assis, you’ll have to learn Portuguese, not Spanish, although you can read it in Spanish and in English, of course. Nice post. I was referring to the Spanish poet Antonio Machado (1875- 1939) actually, but thanks for the tip. ¿Porqué no aprendieras ambos? | Pam nad fyddech chi’m yn dysgu’r ddwy? | Why wouldn’t you learn both? | Pourquoi tu n’apprendrais pas les deux? You generously overestimate my language learning capacity. My time is cut out learning one, let alone two, I’m afraid. I hear you, Scott. We’re moving to Catalonia next year and I’ve been struggling with the question of which language to learn. If I were younger and starting from scratch, I would go for Catalan. However, I’m 68 and already know some Castilian, so I’m going for the latter. The problem with taking pride in your language as I see it is that people usually feel the need to justify it by making blanket statements about other languages that aren’t true and/or are based on limited evidence. In Japan the tropes are “our language is beautiful” (probably a common one), “our language is difficult”, “our language is indirect”, and of course “our language is polite”. Taken literally, you might agree with each of these statements, but discursively the significance of these statements can only be “…and other languages aren’t” or “…moreso than other languages”, which people making statements like this usually are not in a position to know. I suppose it’s possible to take pride in a language without making ill-informed statements about how it differs from other languages, but I’ve never met a person able to do that. Interesting. I once had a Japanese teacher who felt it was her job to teach me about the beauty of Japanese culture and language. She demonstrated the beauty of Japanese through Matsuo Basho’s frog haiku. She felt the English translation did not express the tranquility of the pond and was particularly offended by the translation of “kawazu tobikomu” to “a frog jumps into a pond”. She took this as evidence of the paucity of expressiveness in the English language. That lesson and the disagreement we had about her conclusion was the beginning of the end for her as my teacher! Sorry to go off topic here, but that really is too bad, Gary. There are so many translations of that poem into English. I’ve had a great time with them with students as they judge which one they like better. Here are 4. All different. I wonder how Spanish and Catalan versions would compare? I’ve had teachers like that too, and I’ve even been one before. To many teachers impressing upon their students the beauty and intricacy of the language is more important than getting them competent in it, sadly. One of my worst moments as a teacher was when a HS student offended me by saying that he considered English “simple” and I responded by bringing in something I knew he wouldn’t be able to grasp the following week. It’s even worse when I think of it now because his feelings of superiority might have been a great motivator to him and I may have turned him off English to some extent. I guess it’s unsurprising that a language should seem beautiful (or elegant, harmonious, subtle, versatile, etc etc) to those who speak it. There’s probably no harm in their thinking that. But to assume, on that basis, that other languages are less beautiful (or elegant etc) is a step too far. Having just written the above, I settle down to read the newspaper, which reports on the opening of the ‘VI Congreso de la Lengua’ where the director of the Instituto Cervantes ‘is convinced that the future of Spanish knows no bounds, and reminds us that its “richness” has made it a pan-hispanic language’, while Vargas Llosa talks up the ‘unity and fecundity’ of the language. Sigh. I wonder if the people proclaiming their language as superior are those that have never learned another language? In learning other languages I started to see that there are some things that are more precisely expressed in another language, or the way they are expressed gives a slightly different view of the world. And that highlights the shortcomings of my native English, but perhaps more importantly opens my eyes to the richness of multilingualism. There are things I prefer to say in Catalan, as it sometimes expresses better what I want to say than English. The language we use affects the way we think. For example I believe there is an Australian(?) aboriginal language where ‘left’ and ‘right’ do not exist, but instead they use ‘north’, ‘south’, ‘east’ and ‘west’, so native speakers grow up not knowing their left from their right, yet they always know which way is north. Better or worse? Maybe just different. Perhaps better for the environment/culture they live in, I wouldn’t like to say. Maybe Spanish (or English, or whatever) speakers could proclaim their language superior for having the concept of right/left. But the speakers of this language could equally be shocked by the inability of others to orientate themselves. I would go as far as to say that maybe every language is equally beautiful/versatile/elegant etc. but in different ways. I wonder if people get hung up on ‘but you can’t say X in other languages’ or ‘the translation of Y is ugly’, without realising that the reverse may also be true and that something is always inevitably lost in translation. Or maybe it’s a question of empathy, of being able to look at the world through someone else’s eyes. Yes, indeed, Vay, there are a number of languages that use so-called geographic co-ordinate systems (north, east etc) as opposed to ego-centric ones (left, right, straight ahead etc). In his hugely interesting book ‘Through the Language Glass’, Guy Deutscher (2010) describes a number. (Even here in Barcelona, people will give street directions according to whether a landmark is on the ‘mountain-side’ or the ‘sea-side’ of a street). Deutscher explores the question as to whether these different systems of co-ordinates imply a wholly different cognitive structure. The fact that the Aboriginal speakers, when they speak English, can use ‘left’ and ‘right’ quite comfortably would seem to suggest no. On the other hand, tests have shown that the way that events involving movement are remembered can differ, according to the different co-ordinate system of the speaker. Deutscher takes the view that a ‘north-south language’ disposes its speakers to having a highly developed sense of geographic orientation ‘because the convention of communicating only in geographic coordinates compels the speakers to be aware of directions all the time, forcing them to pay constant attention to the relevant environmental clues and to develop an accurate memory of their own changing orientation’ (p.187). Unlike some scholars, like Stephen Pinker, who argue that the way a language carves up the world is a reflection of the environment in which it evolved, Deutscher takes the view that languages evolve in somewhat arbitrary ways, but having done so, they dispose their speakers to see the world through the ‘lens’ of that language. The same can be said for gender: speakers of ‘gendered’ languages, like Spanish or French, tend to (unconsciously) imbue inanimate objects with the (stereotypical) qualities associated with their gender: ‘the habits of grammar can spill over to habits of mind beyond grammar’ (p. 214). Learning another language, then, is, as you say ‘a question of empathy, of being able to look at the world through someone else’s eyes’. so what are you actually doing to improve your Spanish? Taking classes? Sorry if you’ve talked about this in a previous post which I missed. If you are, please let us know what it’s like. I’m becoming more and more convinced that native speaker ELT professionals who speak another language really well have probably lived and worked in the country where the language is spoken. Which means they haven’t by and large learned it in the way we expect the vast majority of our students to learn it, which is in a monolingual class and without a backdrop of English outside the classroom. I think we (ELT professionals) should all make a point of learning a language with those less favourable background conditions. I’m not really an ELT type, but I have learnt a few languages to various degrees of fluency. * What does it mean to speak another language really well? * How can you tell how much is learnt within and how much without the country where the language is spoken? Taking my own experience (for no other reason than that I have no other reference point), I learnt Welsh reasonably well whilst living outside of Wales – although I went out of my way to find Welsh-speakers living outside of Wales with whom I could practise. When I did move to Wales, I have the feeling that my fluency improved, but I don’t think I learnt anything new about the language. I don’t even think I widened my vocabulary beyond that which a native speaker does naturally from day to day. In the last few years I’ve learnt Spanish. Spanish people say I speak it very well; but I’ve no idea what their yardstick might be. Once again, I meet regularly with Spanish speaking ex-pats (mainly peninsular, but also some from S.Am). So I speak Spanish every week. I also visit Spanish-speaking countries, of course, whenever I can. Does speaking a language “really well” mean speaking it with the same degree of fluency as a native speaker? Do you mean just speaking, or do you include listening (comprehending), reading and writing? Does speaking ability include the ability to imitate an authentic native accent? How is “really well”-ness to be measured? In whose opinion are you to be said to speak a language really well? On this last point, I may believe—on the basis of what I’ve been told—that I speak Spanish well, but I’ve no idea the extent to which people are being polite, for example. And there does not seem to be any kind of objective measure available. I know that there are examinations and qualifications, but there are few people who can show a certificate that ‘proves’ they can speak a language fluently. Examinations don’t, on the whole set out to prove fluency, but rather proficiency in some aspect of language. To what extent is the learner’s own assessment relevant to an assessment of fluency? And what is fluency? One learner may be completely happy with a communication ability that simply includes being able to survive in the limited types of interaction encountered, say, on holiday. They may feel that this is equivalent to, “Speaking the language really well”. Others may want to be able to discuss politics with taxi drivers and read the target language’s great literature. And finally, a point in support of your idea that teachers should have experience as learners: in qualifying as teachers of Welsh to adults, the course members are required to attend at least two sessions where they are taught a language they are unlikely to have come across. My wife currently uses basic Czech as the target. Most, especially the first-language Welsh-speakers in the class, say they appreciate the chance to experience being in the learner’s position in the language classroom. My apologies for going on a bit, and without much of a logical structure. Your post raises a number of linguistically and pedagogically interesting issues, that deserve a wider debate than can be undertaken here. Especially since we haven’t even touched on matters such learners’ cultural and linguistic assumptions, for example, which can be of tremendous importance, but which are rarely if ever treated on language courses. Again, apologies for the over-lengthy communication. Au contraire! Very useful and interesting information! As you hint, Scott, the situation in Barcelona is quite different from the rest of Catalunya; whenever I’ve been there I’ve heard very little Catalan in the city centre. For me, though, language choice has always been in part a subjective matter of taste – I’ ve always liked the prosody and ‘mouthfeel’ of Castillian and so felt more motivated to learn it than Catalan. Don’t people make such choices, in the same way they prefer different foods and musical genres? 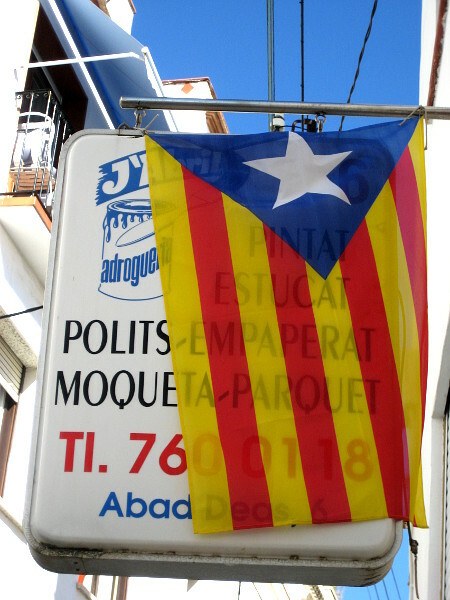 A little under 50% of the population of Barcelona speak Catalan: about 800,000 individuals. This would lead you to expect that something under 25% of conversations between two people would be in Catalan, and under 13% of conversations between three people, 6% between four people and so on, assuming that every conversation where all those involved are Catalan speakers is in Catalan, which clearly would not be the case for a whole raft of reasons that I won’t go into now. 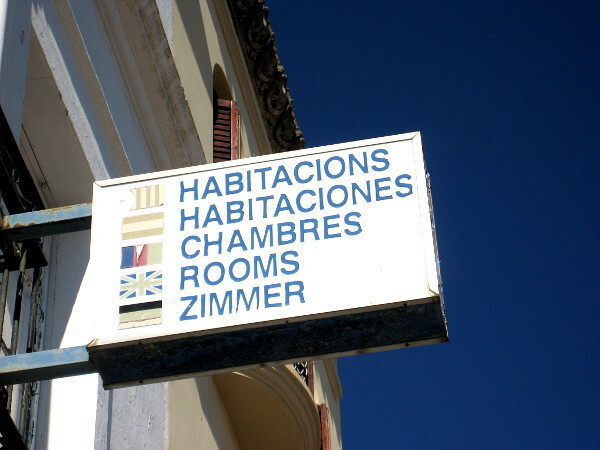 The presence of tourists reduces further the likelihood of you hearing a conversation in Catalan. We have a similar problem with people’s perceptions here in Wales. Learning a ‘lesser-spoken’ language can rarely be justified in terms of practicality since there is almost always a more commonly spoken language which all or most of the speakers of the lesser-spoken language can use for communication. It has more to do, in the minds of some people, with expressing solidarity for the local community and taking part in their effort to keep their language and culture alive. If I lived or worked in Catalonia, I would learn Catalan. If for no other reason than to pay my respects to the tenacity of the Catalan people in hanging on to their language through the dreadful years of the Fascist dictatorship. I admire your political/ cultural /ethical motivation but for many of us who want to simply ‘get by’ such considerations are a luxury. I suspect that is why many opt for English, despite its invidious imperialistic associations. You only have one life and, hence, only one (other) language. That’s an interesting observation, Scott. In our Spanish-speaking group here in Cardiff, of the regular ten or so members, seven out of eight are also Welsh-speakers, of which three have learnt Welsh as adults. Two are also teachers of Welsh to adults. One less regular member (because he is often abroad) is a teacher of English as a second language, to adults and schoolchildren. He is a first-language Welsh speaker and speaks about nine (yes, nine) other languages to varying degrees of fluency. I speak English, Welsh, Spanish and French: English and Welsh I speak natively, Spanish pretty well, and French well enough to get by: this despite not being professionally involved with language learning. I was a computer programmer until I retired recently. One other member of the group also speaks French fluently, having done it for her degree many years ago. She works in the media. And one member is French, from Montpelier and speaks French, English, Spanish and Italian. It may be a poor sample, but it is interesting that this group of people, drawn together only by a shared interest in Spanish should show this type of profile. Yet we all seem to lead full lives away from language learning, engaging in a wide variety of other activities from families to ramblers groups, running businesses, working as IT administrators, industrial chemists, patent officers and so on. With respect, therefore, I would suggest that—especially with an evident interest in languages—you and many others could learn many more than you think in the one lifetime that you have. Especially when the languages involved are very close like Spanish and Catalan (interference aside), and when you live in an area where both languages are spoken. What is lacking, perhaps, is the motivation. And, of course, it is not for me or anyone else to say what your motivation should be. However, I would hold the view that learning multiple languages is less difficult than, perhaps, many people imagine. Footnote: I was useless at languages at school and a monoglot Englishman until the age of 33 when I started learning Welsh using Linguaphone. Just so you know, Scott, I’ve written a review of your blog on my webpage. I am late for this entry! And this is such a controversial topic! There are more than 20 Spanish speaking countries. However, the last version of the Spanish Grammar prides itself on “including” some information from Latin American dialects (thank you so much for the inclusion, RAE). The CREA (Corpus de la Real Academia Española), which is supposed to include dialects from Latin America, strangely has “Madrid”, “España” and “PSOE” as frequent words. DELE includes localist phrases that not even I understand. Textbooks still include “vosotros” conjugation as a basic conjugation for foreigners to learn, but it does not bother to teach “vos” from Uruguay, Argentina and Nicaragua. Just the term “lengua española” itself is exclusive. There is a widely spread attitude towards Spanish that does not only make this language sound like it is superior to other languages, but that makes the dialect from Spain specifically (and actually, the one from central areas from Spain) sound like it is “the real thing”, as well.